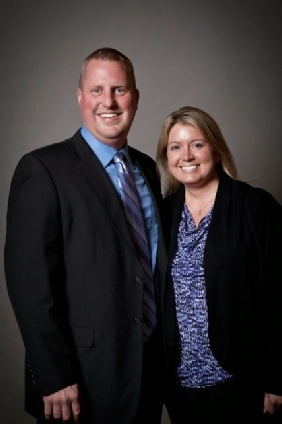 Our Team — Professional Construction Inc.
Owners, Mike and Michelle Grau both grew up in family businesses, which they credit as one of the many reasons PCI stands out amongst others. They truly believe in keeping family number one. When Mike and Michelle aren’t busy at the office, they’re spending time with their three children Ashley, Abbey and Adam. Ashley graduated from college, Abbey is in her second year of college and Adam plays soccer in high school,. In addition to supporting their own children’s soccer ambitions, Mike and Michelle support the entire soccer community. PCI is a proud sponsor of the Milwaukee Wave and the Wave’s Youth Soccer Camps. The whole family also made the drive to Canada to watch the Women’s world cup in 2015! In addition to their own family, Mike and Michelle also support their PCI family! A statement echoed through the halls frequently at PCI is “each employee that works for us is an extention of our family”, and they mean it. Our full team of office staff, managers, carpenters and flooring installers are dedicated to providing each customer with a tailored, positive construction experience. We know that having your home under construction can be challenging, which is why we work with you closely through every step of the process to eliminate the stress and create the least amount of disruption to your daily life. Stop by our office any time to meet some of our friendly and knowledgeable team members!